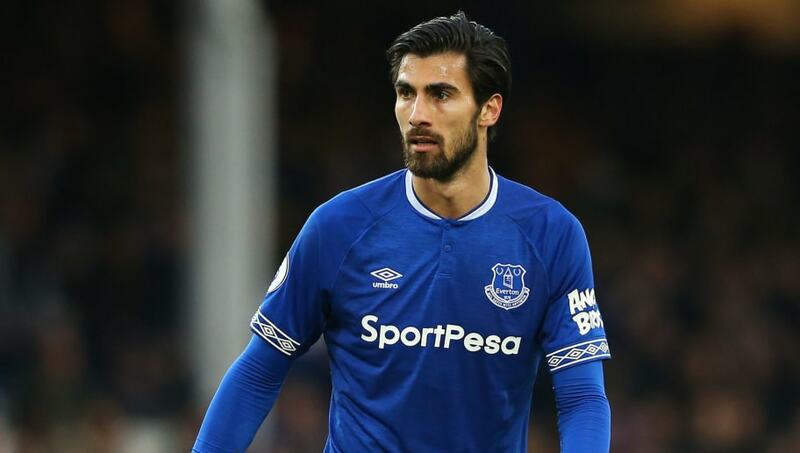 ​Everton midfielder Andre Gomes has accepted the charge of violent conduct from the FA, and will now miss the Toffees' next three games. The Portugal international appeared to stamp on Fulham's Aleksandar Mitrovic in stoppage time of Saturday's 2-0 loss, but the incident was missed by the officials. As a resut, the FA opted to charge him with violent conduct. Gomes has declined to appeal the charge and will instead accept a three-match ban, with a statement on the FA's official website confirming the ban. It said: "André Gomes will miss Everton’s next three matches after accepting a charge of violent conduct. "This followed an incident that was not seen by the match officials but caught on video during the 95th minute of the Premier League fixture against Fulham on Saturday [13/04/2019]. The suspension means Gomes will miss the visit of ​Manchester United on Sunday, and he will also be forced to watch from the sidelines as ​Everton take on both ​Crystal Palace and ​Burnley in the coming weeks. However, he will be eligible to return to face ​Tottenham Hotspur on the final day of the ​Premier League season. The news will come as a huge blow to the club, who remain in pursuit of a seventh-placed finish which could bring about Europa League qualification. They currently sit ninth, just one point behind ​Leicester City in seventh, but they will have to push for points without Gomes. The ​Barcelona loanee has enjoyed a stellar campaign at Goodison Park and has reportedly attracted the interest of Spurs, who could look to pursue a deal once his stay at Everton expires at the end of the season. He has made 28 appearances in all competitions, but will now have to watch on as his team battle towards the end of the season. In his place, Marco Silva will likely look to ​Tom Davies, whilst forgotten men Morgan Schneiderlin and James McCarthy could also be in with a shout of featuring in the coming weeks.